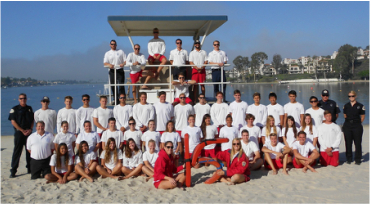 The Lake Mission Viejo Junior Lifeguard Instructors are a team of highly trained, experienced, and energetic individuals. All of our intstructors are trained in Open-Water Lifeguarding, CPR, and are First Responder certified. In addition, many of our instructors are current teachers, EMT-B certified, and open water scuba diving certified. Our team loves what they do and it shows! Many of our instructors have been working with the Junior Lifeguard program for over five years and a few for over ten years! Carley, also known as “Ms. Y”, has been a lifeguard for 7 years and a junior lifeguard instructor for 6. She just graduated from Cal State Fullerton with a degree in Child and Adolescent Development and a minor in Mathematics, She is currently attending Chapman University to get her Masters degree in School Counseling. She is an EMT and is SSI Open Water SCUBA certified. Carley loves spending her summer in the Junior Lifeguard program and encouraging kids to accomplish things they never thought they could. When she isn't working, Carley can be found watching hockey (go Ducks! ), binging on netty, and traveling around wherever she can afford. Ryan is a JG alumni and was in the Lake Mission Viejo Junior Lifeguard program for 7 years prior to becoming a lifeguard. Ryan has over 4 years of life guarding experience and is a third year Junior Lifeguard Instructor. His favorite memory from Junior Guards was competing in JG Regionals. Ryan is going into his sophomore year at Tulane University in New Orleans. Ryan is a registered EMT-B and recently received his PADI Rescue Diver certification. Outside of lifeguarding, he loves to spend time at the movies and beach, is absolutely obsessed with mint chip ice cream, and loves to try weird foods (ask him about the kangaroo and cow tongue). Kathy is one of our lead instructors with over 12 years of Lifeguard and Junior Lifeguard experience. Kathy is a CPR Instructor and SSI Open Water SCUBA certified. Kathy is one of our most energetic and outgoing instructors and loves to create an atmosphere of fun within the Junior Lifeguard program. When she isn't working on the Junior Lifeguard program she can be found hanging out with her beautiful daughter or relaxing at the beach. ​Jordan has been involved with the JG program for 7 years now, with 4 years as a Junior Guard and 3 years as an instructor. She graduated from Tesoro High School in 2017 and now is attending San Diego State University, majoring in Liberal Studies to become a middle school teacher. She was inspired to become a lifeguard from her instructors Carley Yegsigian and Maxx Matsushima, and is now inspired by her junior lifeguards to continue her dream of teaching. In her free time, she enjoys trips to the beach, whether it be surfing or free diving, traveling, and creating videos of all her adventures. Jordan is USLA Open Water certified, and also Red Cross Pool Lifeguard certified. She is very excited to meet new JG's and welcome back returning Junior Guards as well!! 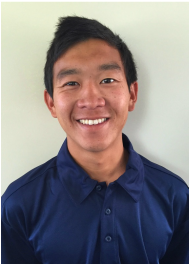 Keeon is in his third year as a lifeguard at Lake Mission Viejo and this will be his second year as a Junior Lifeguard instructor. Swimming competitively since the age of seven and playing water polo since he was twelve Keeon was as close to being raised in the water as one can get. He continues his love for sport sat Saddleback College where not only does he study for a degree in business marketing, but he plays water polo and swims for the school. He is going into his sophomore year at Saddleback and hopes to transfer to San Diego State University in the fall of 2018. When not in a pool or out lifeguarding Keeon can be found out at the beach with friends, watching movies, or doing something outdoors. Keeon looks forward to bringing the experience he has had coaching water polo and swimming over the past year to the program and can't wait to have an amazing summer with everyone!! This is Jack's second year as a LMV Lifeguard and JG Instructor. Before he was a lifeguard, he spent 3 summers as a LMV Junior Guard. Jack was honored to be recognized as the Junior Lifeguard of the Year in 2015 and is extremely excited to participating as a JG Instructor this year. Jack is going into his senior year at Capistrano Valley High School, where he is a member of the swim and water polo team, He loves spending time at the beach and lake and is looking forward to having a great time this summer with the Junior Lifeguard Program. Sera is new to the Junior Lifeguard program this year. ​She is on her second summer as a lifeguard. She was in Lagnua Beach's Junior Lifeguard program for three years. Sera has her EMR certification. She played water polo and was on the swim team in both high school and at Saddleback College. Sera is currently in her senior year at Long Beach State University. She's majoring in Psychology and minoring in Human Resource Management. She loves surfing and hiking..
​Sydney is on her second summer as a lifeguard. She was in Lagnua Beach's Junior Lifeguard program for three years. Sydney has her EMR certification. She played water polo and was on the swim team in both high school and at Saddleback College. Sydney is currently in her senior year at Long Beach State University. She's majoring in Psychology and minoring in history. She loves surfing, going to the beach, and attending concerts. Sydney is new to Junior Lifeguards and can't wait to work it this summer!